Powerfully efficient: Work through your day quickly and conveniently with the latest Intel® Core™ processor. This ultra-low voltage processor delivers power and an efficient performance. Anti-glare for optimal viewing: A 39.6cm (15.6) anti-glare screen with HD resolution gives you the clarity you crave, so you can work comfortably in any environment. 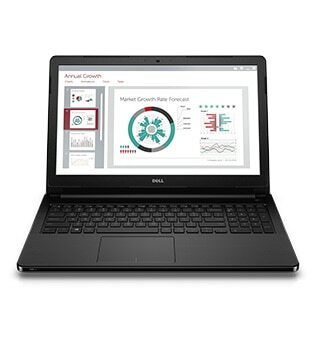 A boost in multitasking: Increase the performance of graphics-rich applications with up to 2GB1 of discrete graphics that make everything look clearer, from Excel spreadsheets to video editing. Simple data entry: Breeze through spreadsheets with a 10-key number pad. Easy video conferencing: Take your meetings online with a built-in HD webcam and the impressive clarity of Waves MaxxAudio®. 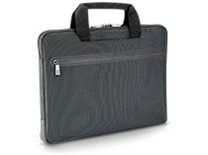 Sophisticated, practical design: The micro-striped, textured cover is less prone to scratches and easy to grip, so your laptop will stay looking sleek and professional. Choose between black and matte metallic red color options for a sharp appearance. 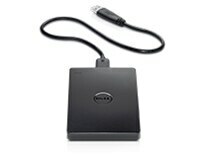 Easy connectivity: Simplify connections to projectors and external monitors with a VGA output . 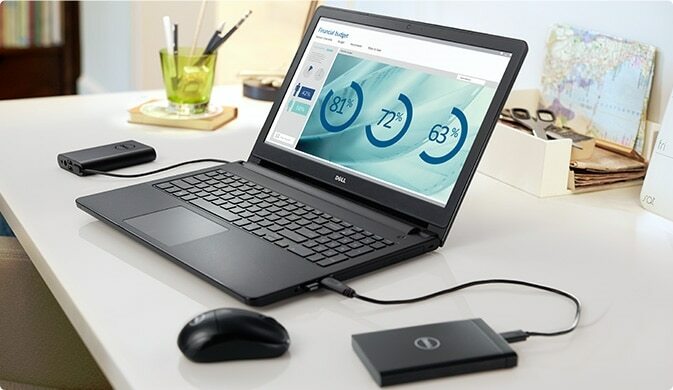 Connect to your external media with three USB ports and an SD card reader, or download files quickly with a built-in optical drive and Gigabit Ethernet. 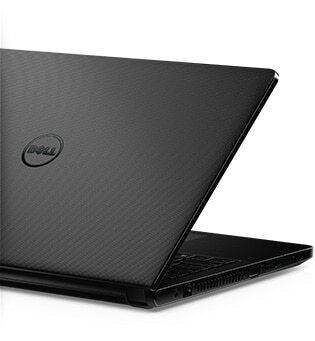 You can maximize the performance of your Vostro 15 laptop with Dell recommended essential accessories. 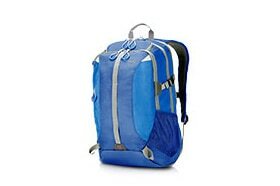 Protect your notebook with a durable yet lightweight backpack made of water-resistant fabric that offers three sizeable compartments with a dedicated padded notebook section that fits laptops with up to 39.6cm (15.6) displays. 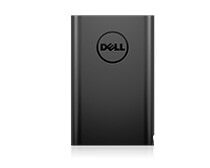 Power and charge your Vostro along with your phone and tablet while on the go with the Dell Power Companion. Work confidently knowing your Vostro 15 is protected under our world-class warranty with optional Next Business Day Onsite Service after Remote Diagnoses3.